KVM over IP Switches | Simply Connect Pte Ltd. The ATEN IP-Based KVM solutions allow operators to monitor and access multiple servers remotely from just about anywhere in the world. Use of the TCP/IP protocol makes them accessible from any computer on the LAN, WAN, or Internet. 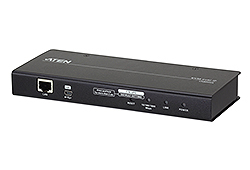 ATEN’s new KN1000A Single Port KVM over IP Switch provides access and control “over-IP” for conventional KVM switches and servers that do not have built-in over-IP functionality. It allows system operators to monitor and access computers from remote locations for "down to the BIOS-level" troubleshooting. 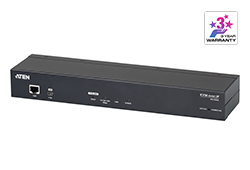 The CN8600 DVI KVM over IP is a cost efficient over-IP device, which allows remote access of digital video,audio and virtual media via remote control of a PC or workstation. Aten´s new generation of KVM over IP switches - KN series allows local and remote operators the ability to monitor and access their entire data center over the network using a web-based browser. In addition, they offer out-of-band access with external modem support for BIOS-level troubleshooting when the network is down. Aten’s new generation of KVM over IP switches - KN series allows local and remote operators the ability to monitor and access their entire data center over the network using a web-based browser. In addition, they offer out-of-band access with external modem support for BIOS-level troubleshooting when the network is down. ATEN’s 4th generation of KVM over IP switches exceed expectations. The KN2116VA features superior video quality (HD resolution of 1920 x 1200), FIPS 140-2 with level 1 security standards and virtual media transmissions at twice the speed. 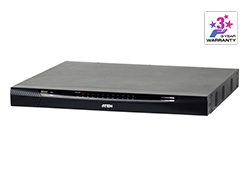 ATEN’s 4th generation of KVM over IP switches exceed expectations. The KN2132VA features superior video quality (HD resolution of 1920 x 1200), FIPS 140-2 with level 1 security standards and virtual media transmissions at twice the speed. 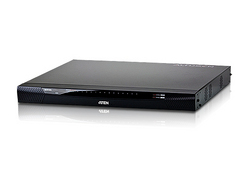 ATEN’s 4th generation of KVM over IP switches exceed expectations. The KN4116VA features superior video quality (HD resolution of 1920 x 1200), FIPS 140-2 with level 1 security standards and virtual media transmissions at twice the speed. ATEN’s 4th generation of KVM over IP switches exceed expectations. The KN4132VA features superior video quality (HD resolution of 1920 x 1200), FIPS 140-2 with level 1 security standards and virtual media transmissions at twice the speed. 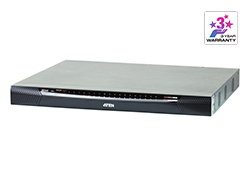 The KH1516Ai Cat 5 High-Density KVM over IP Switch offers 16 computer port configurations in a 1U-high housing for convenient rack mounting. They allow local and remote operators to monitor and access the entire enterprise data center over the Internet using a web-based browser. The KN1000 is a control unit that provides remote BIOS-level access to servers or "over-IP" capability to KVM switches that do not have built in over-IP functionality. The KN1000 is a control unit that provides remote BIOS-level access to servers or "over-IP" capability to KVM switches that do not have built in over-IP functionality. It allows operators to monitor and access their computers from remote locations using a standard Internet browser or Windows/Java based application programs, for BIOS-level troubleshooting without the need for constant on site IT maintenance. 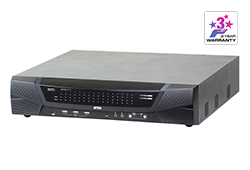 The CS1708i KVM switches is an IP-based KVM control unit that allows both local and remote operators to monitor and access multiple computers. Remote users access the switches over the Internet by means of a web browser using TCP/IP for its remote communications protocol. 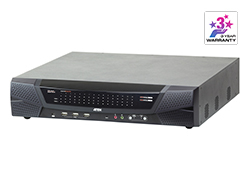 The CS1716i KVM switches is an IP-based KVM control unit that allows both local and remote operators to monitor and access multiple computers. Remote users access the switches over the Internet by means of a web browser using TCP/IP for its remote communications protocol. ATEN’s 4th generation of KVM over IP switches exceed expectations. The KN2140VA feature superior video quality with HD resolutions up to 1920 x 1200, FIPS 140-2 with level 1 security standards and virtual media transmissions at twice the normal speed. ATEN’s 4th generation of KVM over IP switches exceed expectations. The KN4140VA feature superior video quality with HD resolutions up to 1920 x 1200, FIPS 140-2 with level 1 security standards and virtual media transmissions at twice the normal speed. 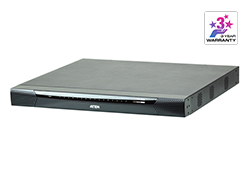 The new generation ATEN CN8000A features superior video quality with HD resolutions up to 1920 x 1200, LUC (Laptop USB Console) for easier KVM access, user-friendly local console OSD and virtual media function without additional cable. 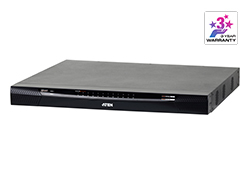 ATEN’s 4th generation of KVM over IP switches exceed expectations. The KN4164V features superior video quality (HD resolution of 1920 x 1200), FIPS 140-2 with level 1 security standards and virtual media transmissions at twice the speed. ATEN’s 4th generation of KVM over IP switches exceed expectations. The KN8132V features superior video quality (HD resolution of 1920 x 1200), FIPS 140-2 with level 1 security standards and virtual media transmissions at twice the speed. ATEN’s 4th generation of KVM over IP switches exceed expectations. The KN8164V features superior video quality (HD resolution of 1920 x 1200), FIPS 140-2 with level 1 security standards and virtual media transmissions at twice the speed. ATEN’s 4th generation of KVM over IP switches exceed expectations. The KN2124VA feature superior video quality with HD resolutions up to 1920 x 1200, FIPS 140-2 with level 1 security standards and virtual media transmissions at twice the normal speed. ATEN’s 4th generation of KVM over IP switches exceed expectations. The KN4124VA feature superior video quality with HD resolutions up to 1920 x 1200, FIPS 140-2 with level 1 security standards and virtual media transmissions at twice the normal speed. The IP8000 is a PCI card implementation of a control unit that provides "over-IP" access and control of the server it is installed in. The IP8000 allows multi-platform access and control of the server from remote locations using a standard Internet browser or with stand-alone Windows and Java applications.